Classic Controls is one of a very few Authorized Systems Integrators in the Yokogawa VigilantPlant Solutions Partner Program. Extensive and specialized capability is a core requirement of membership. Classic Controls, in addition to their provision of total solutions for process measurement, control, and automation challenges, provides special focus on the Yokogawa CENTUM VP, CENTUM CS 3000 R3, and CENTUM CS control platforms. Classic Controls has the experience, expertise, training, and resources to deliver consultation, installation, and support for these and other Yokogawa process measurement, control and automation products and systems. Whether considering a new installation, or upgrading in-place systems, share your plans and challenges with process control and automation experts. Leverage your own experience and knowledge with their product application expertise to develop effective solutions. 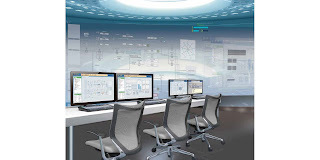 Yokogawa CENTUM VP Process Control and Automation Platform from Classic Controls, Inc.